PANTOMIME audiences were dancing in the aisles in Ayr at the opening weekend of South Ayrshire Council’s festive production of Cinderella – a collaboration with Robert C Kelly. With a star cast featuring favourites from BBC’s River City (Libby McArthur and Sally Howitt) and CBeebies Me Too (Matthew McVarish and Elaine MacKenzie Ellis), Cinderella wowed the crowds at the Citadel leisure centre with fantastic costumes, terrific songs and dance and that all-important audience participation. Audiences happily joined in with shouts of “He’s behind you!” and “Oh no, it isn’t!” as well as a fun dance routine at the end of the show. They were also delighted to see special appearances by a number of acts who ensured that the panto not only had talent, but also the x-factor! Running until Boxing Day, Cinderella is the ideal way to get in the mood for Christmas, and last weekend’s audiences were buzzing with excitement and couldn’t wait to tell their friends and families to book tickets. Other comments included: “Fantastic night out, atmosphere was brilliant”; “Well written. Humour was great, and appealed to both the young and old”; “fantastic”; “really good show”; “brilliant”; “best panto in the last three years”; “excellent”; “loved it”. Councillor Margaret Toner, South Ayrshire Council's Portfolio Holder for Leisure, said: “I am thrilled the panto has enjoyed a successful opening weekend, and I hope to see this continue throughout its run. “This is a quality production that is typical of what audiences expect when they come to the pantomime in Ayr, and I am delighted our standards have stayed the same although we’ve moved venue this year. 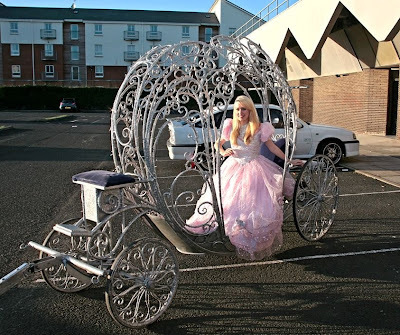 Cinderella is on at the Citadel until Saturday 26 December. 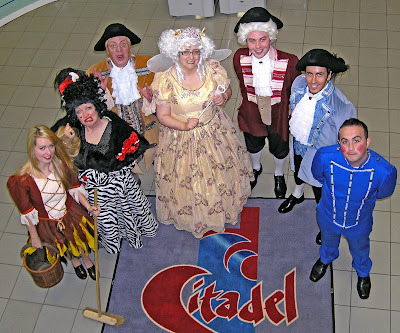 Visit www.citadelpanto.co.uk for further information. Telephone bookings can be made on 01292 269793. There are currently 624 Ayrshire business stories permanently archived on this site. To locate those of most interest to you, please use the site search facility in the top left hand corner of this page. Type your search term in the white box, then click the magnifying glass symbol.